On March 21, 2018, Pope Francis accepted the resignation of Monsignor Dario Edoardo Vigano, as Prefect of the Secretariat for Communication. Monsignor Vigano explained in a letter that he did so to not taint or slow down the process of reform. 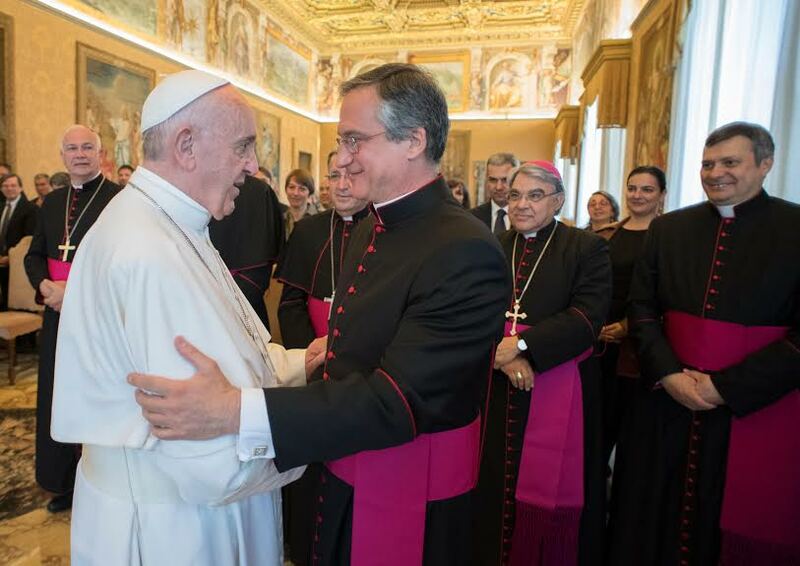 In a statement published at midday, the Director of the Holy See Press Office, Greg Burke, specified that, until the appointment of a new Prefect, the Dicastery’s Secretary – Number 2 – Monsignor Lucio Adrian Ruiz, will head it. “These last days have raised a number of controversies about my acts that, beyond the intentions, de-stabilize the great complex work of reform that you entrusted to me in June 2015,” wrote Monsignor Vigano in his letter of resignation. I believe that my stepping aside will be a fruitful occasion of renewal for me or, recalling Jesus’ meeting with Nicodemus (John 31:1), a time to learn to be reborn from on high. Moreover, it’s not the Church of roles, which you have taught us to love and live, but that of service, a style that I have always sought to live,” concludes Monsignor Vigano. In a letter published the same day, Pope Francis accepts the resignation in these terms: “Following our recent meetings and after having reflected at length and carefully weighed the reasons for your request . . . I respect your decision and I accept, not without some lassitude, your resignation as Prefect. “I ask you to continue in the heart of the Dicastery, appointing you Assessor for the Dicastery of Communication in order to be able to make your human and professional contribution to the new Prefect and to the project of reform desired by the Council of Cardinals.” A reform that reaches its conclusion with the imminent incorporation of L’Osservatore Romano and the Vatican typography at the heart of the system of communication, notes the Pontiff.